[PDF] 20 Most Common Trading Mistakes: And How You Can Avoid Them | Free eBooks Download - EBOOKEE! Description: You're a trader. You live a life of glamour, fast cars, leisure and luxury â€“ everything you've ever dreamed of â€¦ Of course, that's until you discover that trading can be brutally difficult. If you play the trading game, you are going to make mistakes â€“ maybe even some like these: agonising endlessly over when to enter or exit a trade trading like a maverick, risking too much of your capital beating yourself up when a trade goes against you losing $1 million in a single trade clicking 'buy' instead of 'sell' buying 10 000 units when you only meant to purchase 1000. 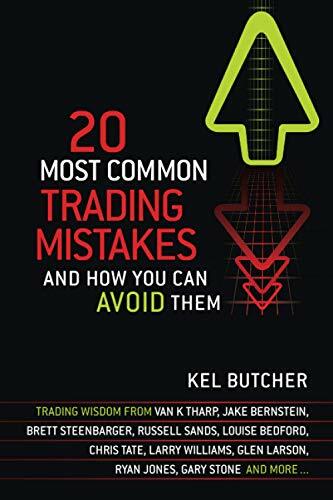 20 Most Common Trading Mistakes reveals market mishaps from some of the biggest names in trading. Everyone - from stellar traders to complete novices â€“ can use help learning how to trade in the black. Why not learn from the masters how to turn blunders into profit? No comments for "[PDF] 20 Most Common Trading Mistakes: And How You Can Avoid Them".